The enterprise app gives a perfect solution to organizations for increasing productivity and competitiveness. The tech-savvy generation is 70% of the world population and mobile applications have now become a way of their life. At a rapid pace, the industry leaders are emerging from the tech-savvy generation that’s hinting at business digitization where the workforce is not just glued to their desk or restricted to cubicles, while they are working at flexible times from any corner of the world. The innovative practices, flexibility, and technology advancement altogether improving the business productivity, increasing performance and giving an edge to the businesses in the fierce competition. This is why, increasingly, the businesses are going overboard to build the enterprise applications. It indicates the enterprise app development is on the rise- no one can argue with that. The organizations have understood that prospering without going digital is impossible. From archiving the organization’s documents to managing daily operations to seamless communication, the enterprise apps come in handy. Also, they are a great solution to most of the challenges, opportunities, and barriers that the organization faces. How It Improves Business Productivity? The 10 to 7 job schedule along with weekends, no more intrigue the employees and engage them in the work. On the other hand, most of the time is spent by the people on mobile. How about the organizations make the work interesting by allowing the employees to work on the mobile where they like to spend most of their time. The enterprise apps are revolutionizing the way employees access the business-critical information and approach their work anytime, anywhere. The freedom to access the work on their device, communicate with other employees in the real-time and the flexibility to work on their terms and wherever they want even outside the working hours, uplift the employee engagement and increase their productivity, which in turn, increase the ROI. The flexibility has become a friend of the organizations that support flexible working policies as 58 Percent of US Companies Reported Increased Profits After Implementing Flexible Working. Taking a step further, the slick apps with simple to use interface that builds a sense of excitement around the employees and offer engaging experiences aspire the employees to make their valuable contribution to the organization. 60% of British employees who use mobile apps for work-related activity have seen an increase in their personal productivity as a direct result due to the engagement in the work. 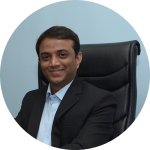 The increased throughput of every employee augments business productivity. The apps offer support for daily tasks, shared access to the resources, seamless communication, and expert advice for sales and training, which empower the employees and increase their efficiency. Moreover, when the business processes wed to the mobile app, gaining the business intelligence becomes easier for the field workers because the insights from the business processes and the data feed by the field worker are analyzed in the real-time and provided the same on the worker’s device instantaneously. 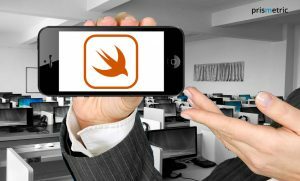 In this manner, the heightened employee efficiency stems in from the apps. Having an enterprise app in the place means not just the sea of scattered data gets digitized, organized and becomes easy to search, while the big data combined with analytics enabling the enterprises to gain business intelligence which keep them a step ahead. The big data analytics is the key part of enterprise app development that benefits throughout the app lifetime and make the enterprises smarter as the data created in the last few years is unstructured and hardly 0.5% of it is analyzed, which can unfold the amazing insights. The mountain of data becomes a gold mine for the enterprises as the big data analytics inform the enterprises about new marketing opportunities, showcase the inefficiencies in the current processes, increases the visibility into the operations, and much more, which never let the profits go southwards. If you are saying that the organization is not lagging behind the digital race because the intranet network is already set up organization-wide to keep the employees on the same digital page. It’s a big mistake you are making. The documents updated on the intranet network are not necessarily monitored and controlled, which means it has become a dumping ground of irrelevant and outdated documents that are uploaded by the employees haphazardly. Later, they are used by the field workers, which may create a potential pitfall for the organizations, especially that falls under the regulated industries. It hinders the organizational growth and productivity. By engineering the enterprise app, all the documents uploaded and updated are always controlled by the concerned person so that it may not put the organization into a legislative question. Second, in the BYOD culture, the laptop or desktop cannot be included as they come in a flurry of OS, browsers and browser versions, and which is not the case with mobile apps as the majority of the mobile market share comprises of Android and iOS platforms. So, providing a consistent experience to the employees on the device they are using becomes possible. The high control and consistency results in happier employees who would like to go an extra mile and leave no stone unturned in accomplishing the organizational goals. The major driving force behind employee productivity is a collaboration that comes with smooth communication. Difficulty in communicating with the team boil down the employees because they cannot stay up-to-date with the work status or know what other team members are doing. That’s where the enterprise app provides the instant response and make the communication employee-friendly. The apps are powered by advanced collaboration tools such as audio calls, video conferences, task management, file sharing, real-time chat, easy search, and so on. Note: Leveraging different collaboration tools for various purposes like- office productivity, project management, team management, and communication won’t fix the issue as they keep the things in silos which cannot be integrated that results in workplace failure. Build an enterprise app where collaboration naturally gets fit into the workflow and ensure future gains. Coming to market and sales, the seamless communication and high collaboration via apps works wonder in sealing the deals and increasing ROI. How It MakesThe Business Competitive? The innovation isn’t a sign of adopting an expensive technology, while it’s about addressing the familiar pain points using affordable technology like- mobile apps in a unique way. The organizations that take hold of the innovation culture are not suffering from a productivity slump, instead, they are seizing a competitive edge in the market. Certainly, the apps automate the processes, optimize the operations, and solve legacy issues at a fraction of cost, but going beyond the fundamental features, they spark innovative ways of thinking and addressing the challenges and market changes, which lets the business stay competitive. For instance, the employees won’t consider that their job gets finished after working for the company for 8 hours. Instead, they take the authority to complete the allotted work in the best way possible, do a lot of research, add the innovative ideas and make recommendations to bring the excellent outcomes because the enterprise apps free up a lot of time which employees otherwise waste in the repetitive tasks that hold little-to-no value. The innovative culture never lets the organization lags behind in the fierce competition. The organizations that don’t agree with the seismic shift that enterprise app landscape has brought worldwide are actually creating barriers to the organization’s growth and prosperity. Soon, they will become an extinct species because they are opaque to the customers’ demands, organizations’ efficiency, market trends, and competitor’s strategy. 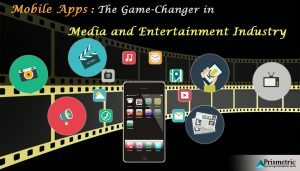 The enterprise apps are the powerful forces that help in adapting the organization according to the need of the hour. It’s not a one-time process, instead, the apps keep scaling and growing the organization as their needs changes. Besides, assimilating the new technologies with the existing system is viable that bolster the organization’s initiatives and meet the needs of increasingly mobile customers. Ultimately, the organizations can modernize the strategies and can execute the strategies before the competitors do, which keeps them ahead of the competition. 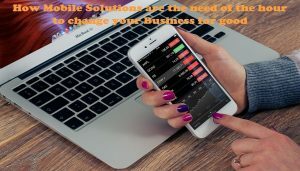 For instance, a decade back, organizations build mobile apps to connect every asset of the organization and easily communicate with the customers. But, with the changing customers’ expectations, and market trends, the organizations are implementing artificial intelligence, internet of things, the blockchain, and augmented reality technology to step in with the transformation. Read About: Mobile Application Development Trends That Are Going to Rule in 2019. The advanced technologies maximize the potential and differentiate the organization in the crowd because the monotonous tasks get automated, intelligent insights enriching the services and products, customer support becomes more responsive and personalized, putting a dent in the data security become impossible and training become interesting with AR or VR. It enables the organization to gain a true competitive advantage. 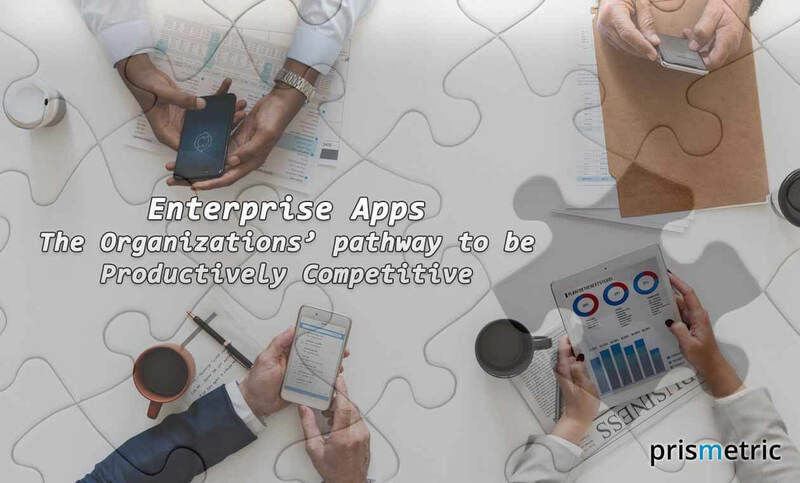 Certainly, a single answer for keeping a laser-like focus on what’s important to your business, how to execute the operations well, and how to leverage the talent in innovative ways is the Enterprise App. The enterprise applications for the organizations completely rethink the way organizations introduce new products, adapt to the changing market trends and get insights into competitor’s strategy in a short cycle. It’s achieved by focusing on siloed assets from every angle and then integrating the assets using the resources, which is unimaginable before the enterprise apps integration. The result: The new breed of enterprises is here that can scale endlessly, innovate quickly, remain competitive and understand what its employees, customers, and partners anticipate just at the speed of light. So, why not build enterprise apps to make your business better at which it’s already good. Want to make your organization productive and competitive? If so, get on the board.